I love everything about my garden (well, apart from the midges, slugs and moles! 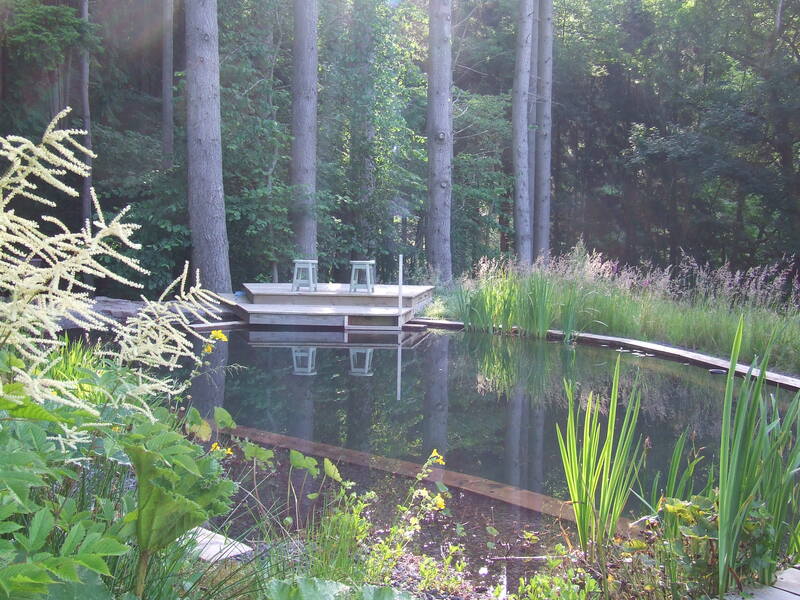 ), but the wildlife / natural swimming pond is probably the best thing we have created in the 34 years I’ve been here. 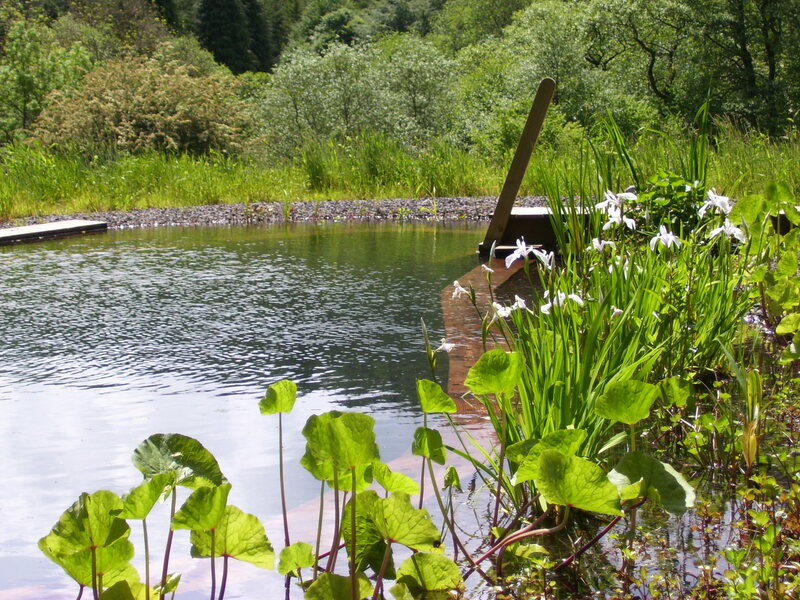 Today I took 20 minutes out from preparing for the NGS Open Garden days to have a swim – swimming with newts, water boatmen, pondskaters, large red damselflies, dragonfly larvae, whirlygig beetles (are they really called that?) the first blossoms on the native white water lilies and the tadpoles rapidly turning into little frogs. There’s some ferocious looking great diving beetles in there somewhere as well! 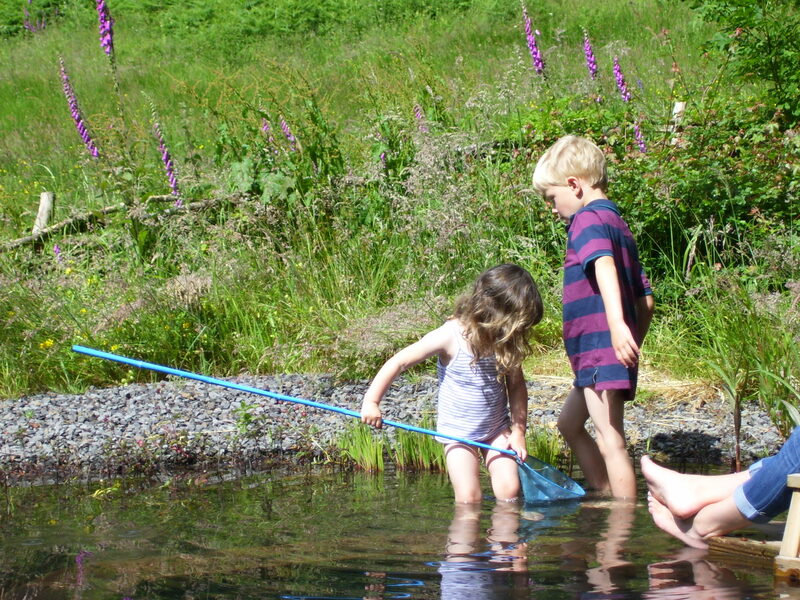 On the weekend the grandchildren had great fun “fishing” for newts – not the great crested variety in case any of my former conservationist colleagues are reading this! 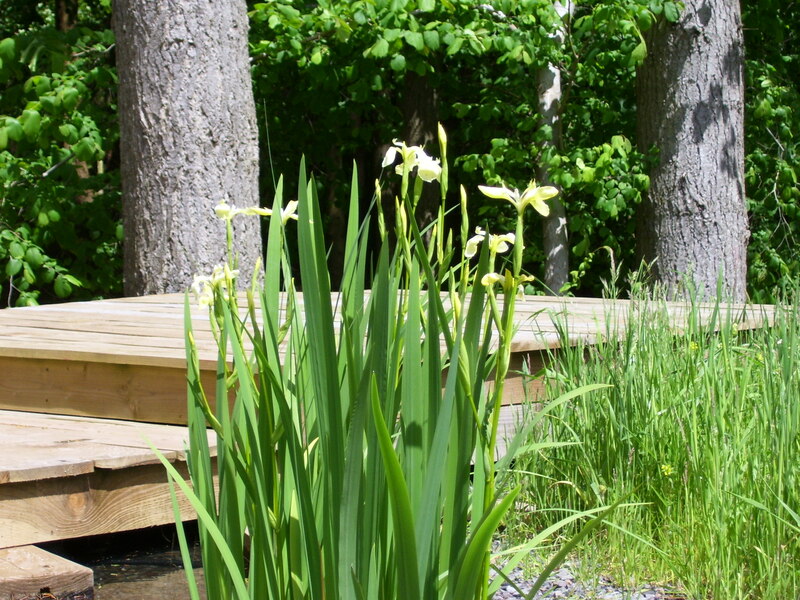 The planting round the edges is starting to look natural and seems to be doing the job that is intended for it – keeping the nutrients in the water to a level that stops the growth of algae and other nasties. Despite quite a lot of leaves falling into the pond over the winter (something we need to sort out this year) the water is crystal clear and obviously very interesting to all the beasties mentioned above. PS from Ian: On the weekend I changed the type of filter foam in the ‘pump house’ and now the whole thing seems to be working more efficiently and we have both of the “feature” outflows working fully as well as the main “heating” outflow down in the depths of the pond. Money well spent, I think.